It is high time to capture your memorable moments with a sophisticated featured camera. 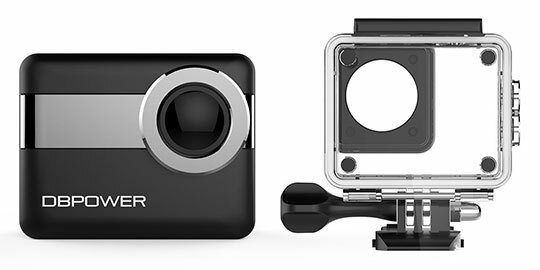 DBPOWER N6 4K action camera seems to be highly recommendable for the travelers. You can even make use of this high-resolution camera to click all sorts of sports adventures like diving, skiing, climbing, bike riding, driving, etc. with utmost clarity without compromising on any factors. The portable feature enables to fit perfectly within your travel bag, and it can also be mounted comfortably for best clicks. 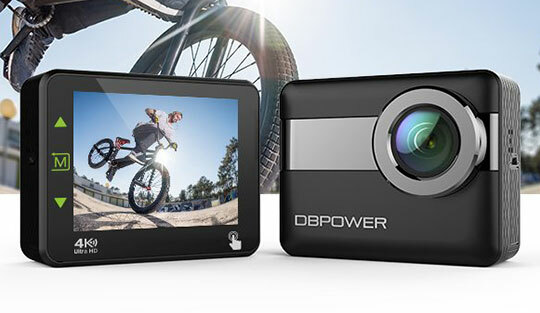 DBPOWER N6 4K action camera comprises a touch screen with 2.31 inches and serves you with excellent navigation features. It has a waterproof body and helps you to capture best moments at the water surface without much difficulty. You can click the scary emotions during the dive up to 90 feet from the earth’s surface into a deep ocean. 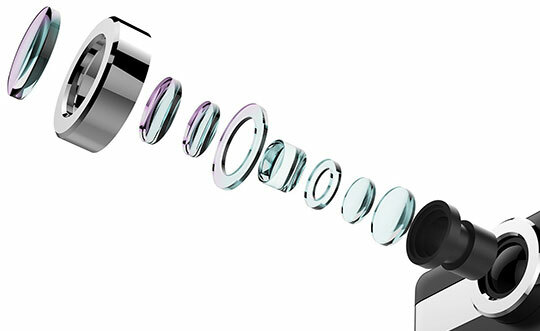 This camera has 7 layers of an optical glass lens, and it widens the view angles as per your needs. The 170-degree wide angles expand the view and deliver a perfect shot. The Sony image sensor serves you with high-quality pictures and videos. In order to capture motion pictures, it is highly advisable to make use of anti-shake DSP and WDR features for quality output. 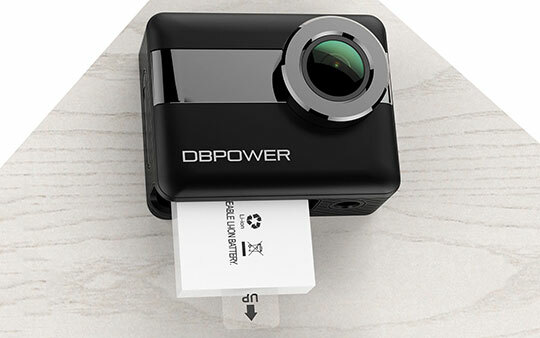 DBPOWER N6 4K action camera supports up to 64 GB micro SD card as an external storage memory. This feature provides high storage capacity, and you can store a lot of pictures and videos without any regrets. It can also be controlled by remote controllable through WI-FI option. The WI-FI signal is accessible up to 10 meters. With the help of CamKing App, you will be able to control the camera in an optimum manner. While recording the motion pictures any sorts of changes can be wisely detected by the 3-axis gyroscope from the built-in electronic image stabilizing feature. You can record quality pictures and videos despite of shakes and changes in the position of the camera. Recommended reading: The Teclast X3 Plus 2 in 1 Tablet PC Review – All You Need to Know. DBPOWER N6 4 K Wi-Fi action cameras come along with the excellent collection of accessories. There are more than 15 accessories available with this product for sales. Most of them support GoPro mounts for best clicks. The accessories comprise of mounting devices in order to capture the perfect click of your best moments. The Camera has a stylish look with LCD touchscreen option. The touchscreen is designed with the gorilla glass, and it has a greater resistance to the scratches. It is very slim and sleek along with a solid appearance. 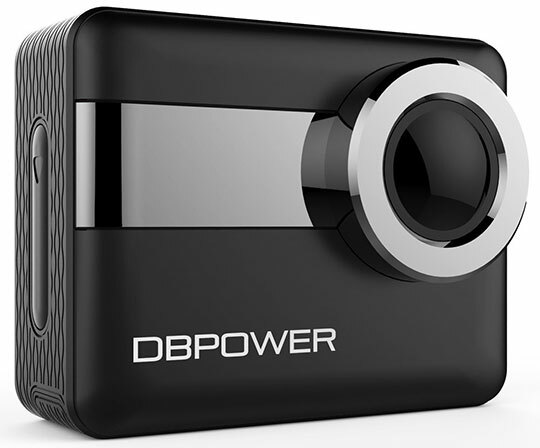 DBPOWER N6 4 K Wi-Fi action cameras can be easily handled and has long-lasting battery life. The sophisticated, stylish appearance boosts up its sales rate despite of the competitive market. 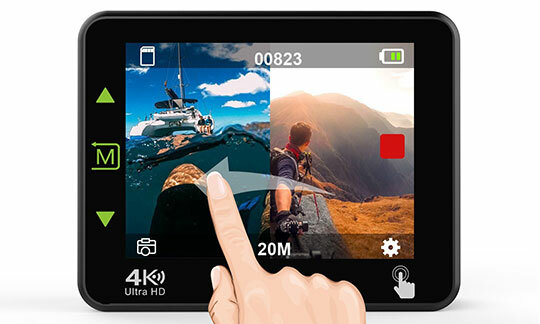 If you are looking for the best camera to capture awesome moments in your journey of life, then DBPOWER N6 4 K Wi-Fi actions camera seems to be the right choice. It has a lot of notable features and provides you with high-quality pictures and videos without any regrets. The long-lasting battery life serves to be one of the best features. You can place your order in an online mode by visiting the website of the giant online retail seller Amazon. Just step into the website to learn more about the product details and shipping procedures after the purchase. Hurry up and place your order before the product becomes out of stock. Have a look at the Amazon website in order to explore the features of the camera for better understanding before purchasing the product. DBPOWER N6 4K Wi-Fi action camera is available for sale at reasonable price tags. In the current scenario, the market price of this product is $119.98. Make use of the promo code “V5RFI43U” to purchase at the reduced price. The offer price comes around $95.98. This promo code is valid up to December 31, 2017. Hurry up and utilize this opportunity and make a worthy purchase. Do not hesitate to place your order. Capture your fun moments for everlasting memories. This camera suits well for the travelers and photographers. Get rid of regular cameras and make use of this high-quality camera for better clicks. Capture your fun moments for everlasting memories. This camera suits well for the travelers and photographers. Get rid of regular cameras and make use of this high-quality camera for better clicks.